In time for the 50th anniversary of the Mets' miraculous 1969 World Series win, right fielder Ron Swoboda tells the story of that amazing season, the people he played with and against (sometimes at the same time), and what life was like as an Every Man ballplayer. 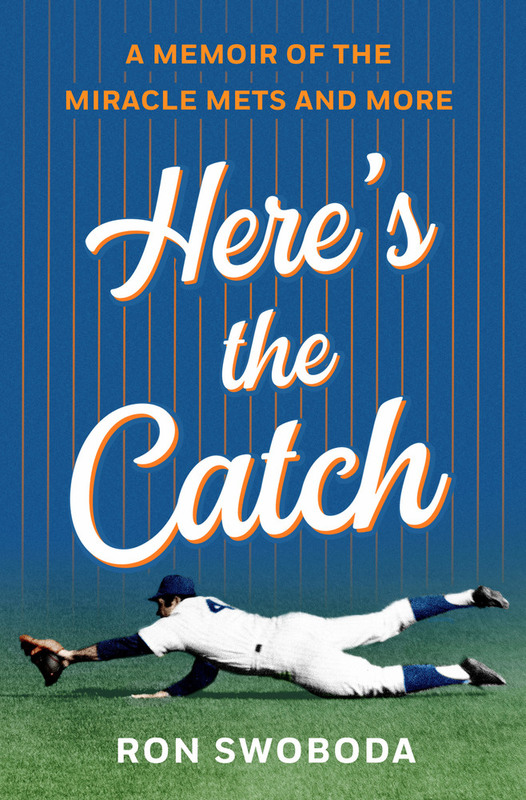 Ron Swoboda wasn’t the greatest player the Mets ever had, but he made the greatest catch in Met history, saving a game in the 1969 World Series, and his RBI clinched the final game. By Met standards that makes him legend. The Mets even use a steel silhouette of the catch as a backing for the right field entrance sign at Citi Field. In this smart, funny, insightful memoir, which is as self-deprecating as a lifetime .249 hitter has to be, he tells the story of that magical year nearly game by game, revealing his struggles, his triumphs and what life was like for an every day, Every Man player, even when he was being platooned. He shows what it took to make one of the worst teams in baseball and what it was like to leave one of the best. And when he talks about the guys he played with and against, it’s like you’re sitting next to him on the team bus, drinking Rheingold. This is a book anyone who loves the game will love as much. RON SWOBODA played right field for the Mets from 1965 to 1970, the Expos in 1971 and the Yankees from 1971 to 1973. Afterwards he was a TV sportscaster in New York City, Milwaukee and New Orleans, where he provided color commentator for telecasts of the Marlins’ AAA club and now lives.